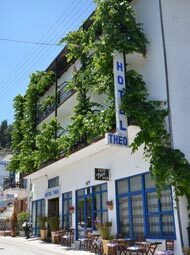 Hotel Theo Thassos | Green all around. Blue watered. Full memories and promises. Green all around. Blue watered. Full memories and promises. Graphical and unanticipated the beauty of sea combines the rich vegetation from green all around pinewoods and olive groves, with clean crystal waters, the traditional way of life in the villages, the archaeological sights, the modern shops and the nightly life. 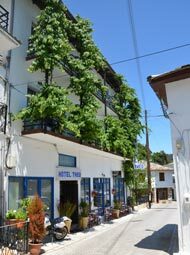 The beauty of Thassos is sure a big occasion to enjoy the nature. Rich forests with pines, black pines and firs, but also extents with cultivated sunflowers cover the all the surface of the island and the graphical villages are revealed the one afterwards the other. And while the eyelook is lost in the green all around landscape is enough a look to lost this time in the vastness of Aegean sea. Creeks, sandy beaches, wild rocks and cryptic caves promise emotions unprecedented. White marbles, chosen wine, eminent honey, pure olive oil, but also layers of oil, prove the undeniable wealth of the island. 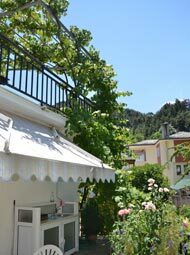 But the bigger wealth is the historical and cultural background of Thassos inside the centuries. On 15 August there is celebration of the Holy Temple with many christian activities and a free dinner for all, an offer of the church in faithful. One of most historical fiesta and most separate carnival of Greece, revives in Thassos. 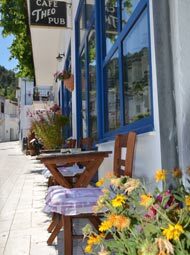 The appointment is given in the mountainous village Panagia, with carnivals, chariots, abundant wine and topical jokes for a “juicy” feast, immediately connected with the local tradition.